It’s the same story every time, isn’t it? We start the New Year with a great set of resolutions, determined that this will be the year that we make that big change. And nothing changes. Perhaps we just make it too hard for ourselves. Maybe we just don’t go about it the way we should. Or it could be a bit of both. So here are 5 things you absolutely MUST have on your to-do list for 2014 – and also, some tips on how to set goals to help you ensure you’ve crossed out each item before 2015 arrives. 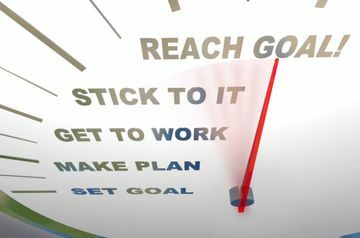 Let’s face it - most of us are terrible at setting goals. Yes, we know the SMART formula, and also the ‘power of the written goal’ – but it just doesn’t work out. The very idea of ‘setting a goal’ seems so daunting that most of us just never get around to doing it. So here’s a trick I stumbled upon a few years ago. Instead of setting a ‘goal’ for myself, I simply decided to explore some exciting outcomes. What would be some of the things that would really excite me if they happened this year? Things that would literally make me jump with joy. So think about it? What would be some truly exciting outcomes you’d like to create this year? List them down. Now. Once I had my little list of exciting outcomes, I found myself buzzing with energy and enthusiasm. I couldn’t stop talking about all the things I wanted to do, but I didn’t have the first clue about where to begin. That’s when I bumped into an ex-colleague who’d started working as an executive coach. Together, we worked on my ‘outcome list’ and narrowed it down to one clearly defined goal. Over the next 6 months, we met regularly to keep track of my progress. Whenever I felt stuck or overwhelmed, I turned to my coach, and he helped me move towards my outcome. And that should the next item on your to-do. Find yourself a good coach and share your outcome list with him or her. 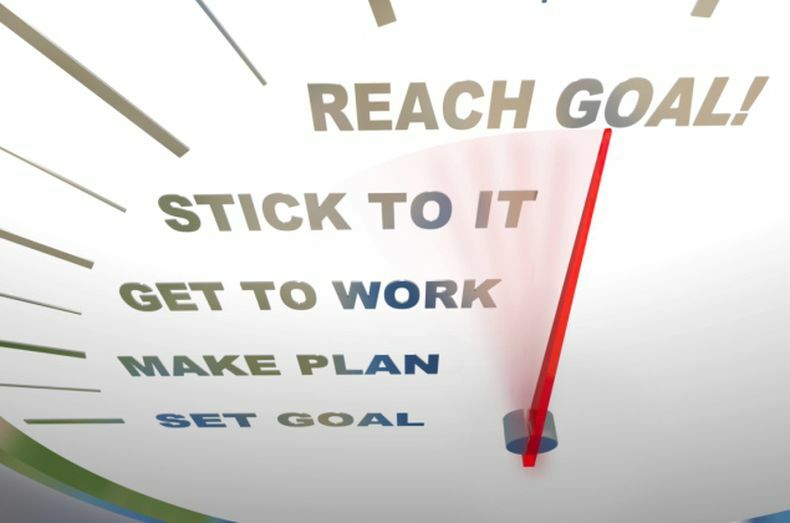 A good coach will help you set compelling goals, and keep you on track till you achieve them. One of the first things my coach helped me realize was the importance of building a support system around me. Without that, I don’t think I’d have achieved any of my goals. If your goal entails spending time away from home, it’s likely that your spouse or children won’t be too happy about it. My coach helped me analyze and understand the impact of my decision on those closest to me. I spent time helping my family understand what I was trying to achieve, and how important it was to me. Once I had their buy-in, I was amazed at the amount of help and support I got from them. So solicit support. Ask for help. Do it regularly and make it a habit. No woman is an island, and none of us can achieve our goals without the support of those around us. There’s a lot to be said for having a routine and following it, but in my case it also got me to a stage where I was restricting myself to what’s comfortable and familiar. I hadn’t met anyone who wasn’t a friend, colleague, or family member in over 2 years. There’s nothing wrong with spending time with friends and family, but meeting new people exposes you to different ideas and opens your mind to possibilities. To make it easier for myself, I joined the local Toastmasters. It proved to be the best decision I could have made. I met interesting people and many of the new things I learnt helped refine my goals, and made it easier for me to achieve them. So I strongly suggest you go out and find yourself a new network. You don’t have to join Toastmasters – just rediscover an old hobby. Visit an art exhibition. Join a cycling club. Go for a heritage walk around the old city. Just start getting out more, and meet more people. Do you find it difficult to say ‘no’? Saying no to someone or something was a huge problem for me, till I learnt to say ‘yes’-to myself. This involved identifying the things that were most important to me, like spending time with my family, focusing on my career and working out. Make a list ofat least five things that are most important to you andpractice saying ‘YES’ to them. The next time someone asks you to do something that interferes with what on your list you won’t feel guilty about saying No! Keya Rathore is an Executive Coach, Organization Development professional and writer. As a consultant with Wisnes OD Consulting, she has successfully designed and delivered interventions for various corporate organizations in the area of Leadership Development, Team Effectiveness and Organization Culture and System. Keya is also an NLP practitioner and she uses experiential activities and action metaphors to help her clients overcome their limiting beliefs.